A joint venture between Dubai master developer Nakheel and leading Spanish hospitality group RIU Hotels and Resorts has moved a step closer with the release of a construction tender for an 800-room, beachfront resort and water park at Deira Islands. 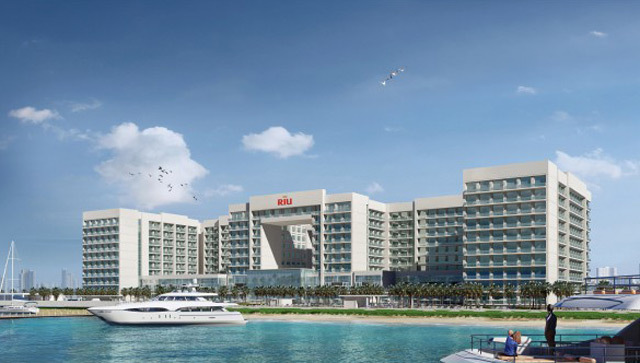 With an investment value of Dh670 million, the resort, RIU’s first in the Middle East and one of the biggest in Dubai in terms of hotel rooms, is set for delivery in Q4 2019, Nakheel said in a press release The RIU resort at Deira Islands will bring a new hospitality concept to Dubai, offering mid-scale, family-orientated, all-inclusive beachfront accommodation. The resort is located on a prime beachfront plot at Nakheel’s new, 15.3 sq km Deira Islands coastal city. The joint venture is one of 18 projects in Nakheel’s Dh5 billion hospitality expansion programme, which will deliver 5,800 new hotel rooms and apartments across Dubai in line with the Government of Dubai’s tourism vision for 2021. RIU Hotels and Resorts has almost 100 hotels, with around 45,000 rooms between them, in 19 countries. Together, these welcome over four million guests a year and provide jobs for nearly 27,000 people. RIU is one of the most popular hotel chains in the Caribbean and the second largest in Spain in terms of revenue. Nakheel has already awarded over Dh7 billion worth of contracts at Deira Islands, with more on the way. The waterfront city, which is expected to have a population of 250,000 and to create 80,000 jobs, will add 40km of coastline, including 21km of beach, to Dubai. All rights reserved to the initial publisher for Emirates247.